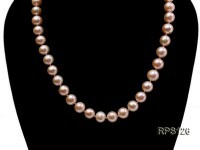 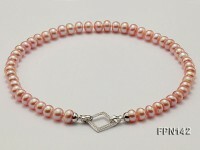 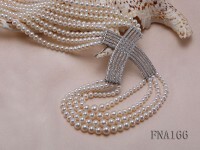 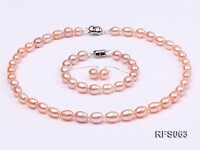 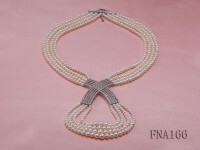 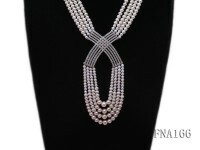 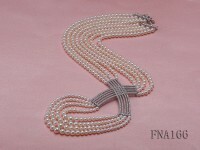 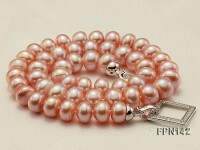 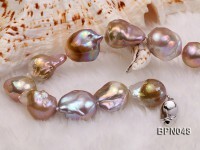 Fashion four-strand 4-5mm white freshwater pearl necklace for sale. 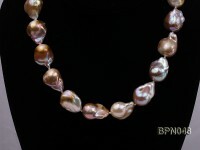 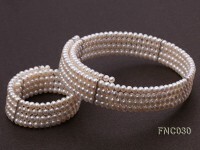 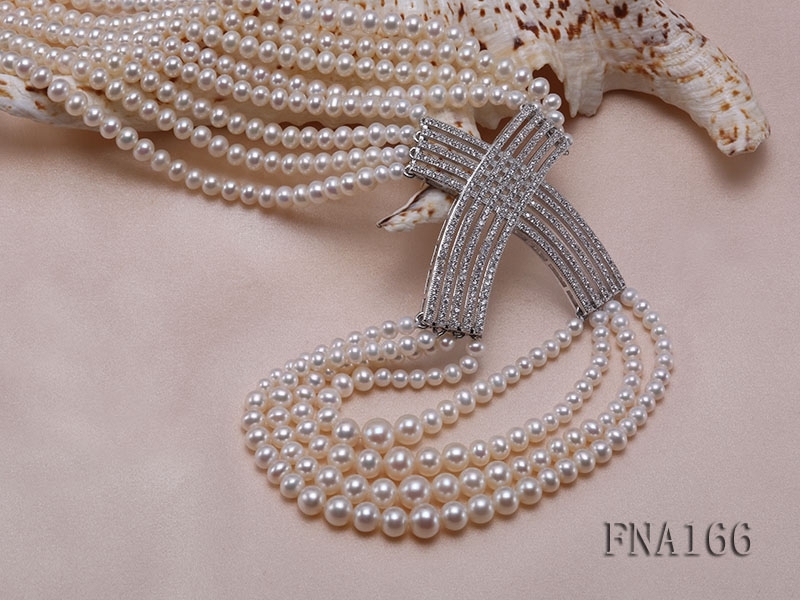 All the pearls are carefully selected and well matched in luster, shape and size. 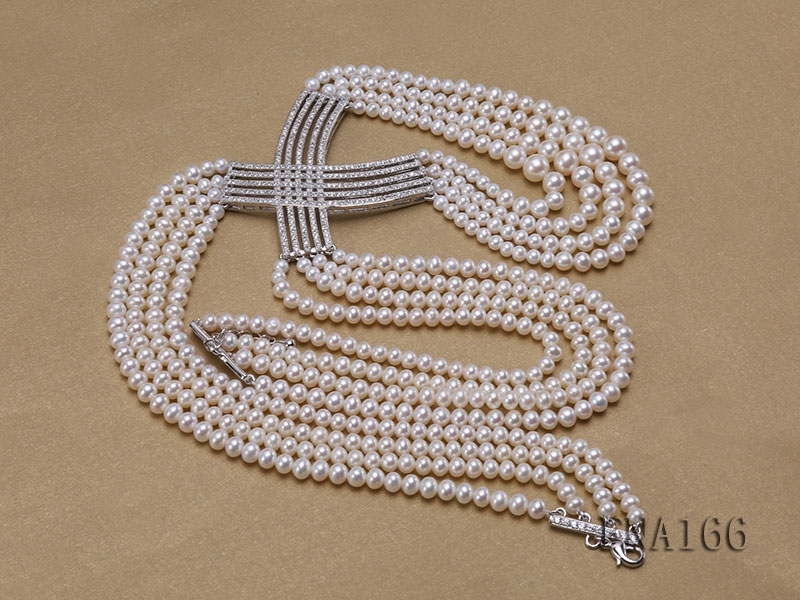 In between every two pearls there’s a solid handmade knot without exception to avoid rubbing of pearls and ensure beauty in wear. 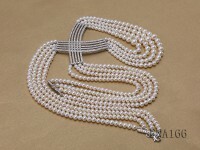 The design of every pearl necklace is aesthetically unique, which makes a perfect party wear to go with low-cut gowns. 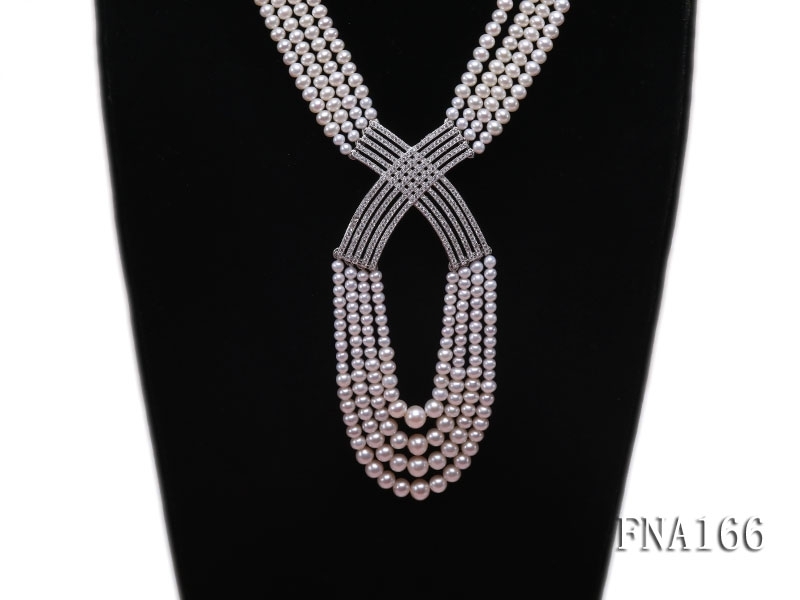 The upper choker measures 17-18 inches long and is connected by a zircon-inlaid sterling silver clasp.